UA's original premium performance EQ utilizing the best of classic hardware designs. The Precision Equalizer plug-in for UAD-2 hardware and Apollo interfaces is a stereo/dual mono four-band EQ and high-pass filter made primarily for use with program material. The Precision Equalizer is modeled on the behavior of real-world analog mastering filters, and uses the classic parametric controls arrangement. The Precision Equalizer plug-in utilizes the best from traditional hardware designs while incorporating features convenient to software digital mastering. To preserve the greatest sonic detail and ensure a minimum of artifacts in the upper frequency range, the Precision Equalizer is up-sampled to 192 kHz for maximum sonic accuracy. I always use this during the mastering in Logic. It makes the sound a little more transparent. Again very "gentle" settings. The best sub, lows harmonics, that even Massive Passive... MP miss a lot of information from the bottom end, wha is not so nice for electronic dense, heavy, straight music. Good EQ. Tried the demo version. Strangely enough, in most cases I went for the Pultec and/or the Cambridge during the mastering process. So I decided to do without it for the time being. But I will remain open to change my view. I think this question is really dependent on the material of your daily work in your sound studio. Having said this, I am really happy to say: With the UAD-1 card I got the most natural EQ I have ever heard: THE PULTEC. It helped me find perfect solutions for vocals, gitars and symphonic instruments. Together with the 1176, the Fairchild and the Teletronix, all of which you can normally use far more than ONCE (I am just making myself clear what luxury I have been given), you get a huge contribution to a better sound for so ridiculously few money. Precision EQ was made for subtle and clean adjustments, mostly on program material. It does quiet well, with a minimal DSP hit but its GUI definitely deserve a deep refresh. The concept of this plugin need to be rethink : at least , it lakes a Range dB as on Sontec 432 or Gain Control as on BX_Digital V3. There is today so much very good alternativ for this kind of work which included more powerfull and more user-friendly tools / options . This is a very precise and clean equalizer. No mastering takes place without his participation. Excellent high frequencies, which I have not heard on any other equalizers. This is really a unique plugin. I like to use the precision in my masters, because it is so transparent I can remove frequencies that annoy me without taking character of the music! I love it! 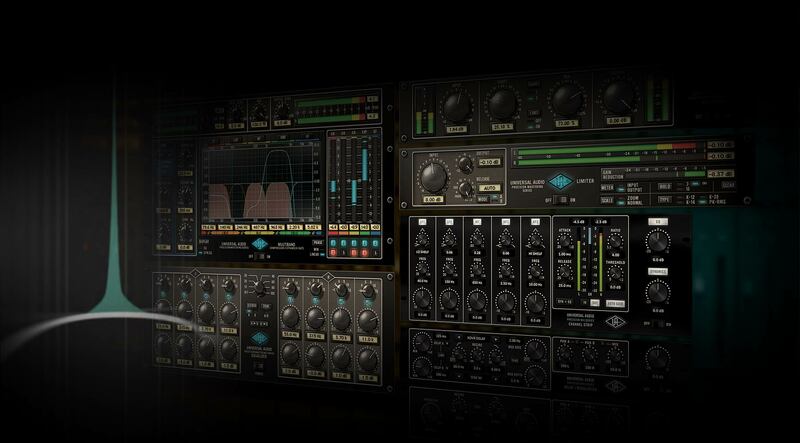 My secret weapons is the percision series plugins especially percision eq,these are my great tools for mix and mastering.very smooth touch for final sculpture. you can do everything with this eq! perfect for bringing the snares up front. great highs! Researching products has helped me make informed decisions. That's why I couldn't wait to get this plugin! The design was based on the SONTEC Disk Mastering EQ (ME5-432C). Claimed to be one of the best. When you add it on to your track and just turn it on you can already start to hear the quality. Speaking from experience - UA Precision Mastering plugins - you won't be disappointed. This was not my first choice for a mastering eq. I demo'd the V-3 & loved it & all its features but it wasn't in the budget at the time. I decided I still wanted a uad plug-in in my mastering chain not just my Waves Plug-ins which I'm slowly phasing out. I demo'd the Precision Eq & was really impressed with the presence it gave the vocals & it's natural sound. I also liked that the gain nobs are stepped. It was a worth while purchase me. I love this as a mastering eq option on my stereo bus. It has a nice tight bottom end and a nice airy top. Love this eq. Quality plugin for the price. Muy limpio y muy buen sonido. Siempre lo tengo en la cadena de procesadores del Master. RECOMENDADO!! I first read the reviews and thought i needed to try it. I used it in demo mode for a day then made the purchase. I'm thrilled with it. It seems to add a dimension I was missing. And I'm able to put more bottom end in a mix with less worry. I usually find a preset that seems closest to what I'm looking for and work from there. J'ai une pièce qui sonne très bas médium, et quand j'applique le preset qui corrige précisément ces fréquences, c'est magique! J'enregistre beaucoup de guitares chants, et il y a une transparence immédiate une clarté, c'est bon! Always wanted to get this eq after trying demo. Finally got it. It does make a good difference to the mastering. Tweak it a little and then compare it with bypassed signal and you will hear what it does. It eq's in very subtle manner without affecting the material.